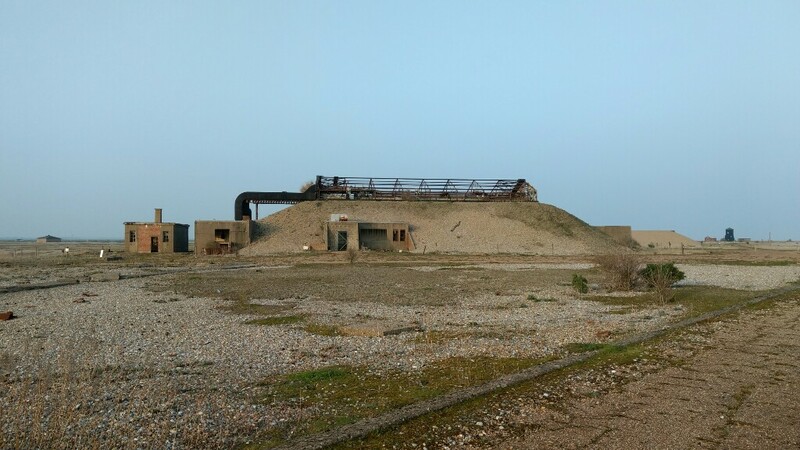 Secret military activity on Suffolk's Orford Ness peninsula dates back to the First World War when the MOD took it over and built a Royal Flying Corps airfield on the marshes. 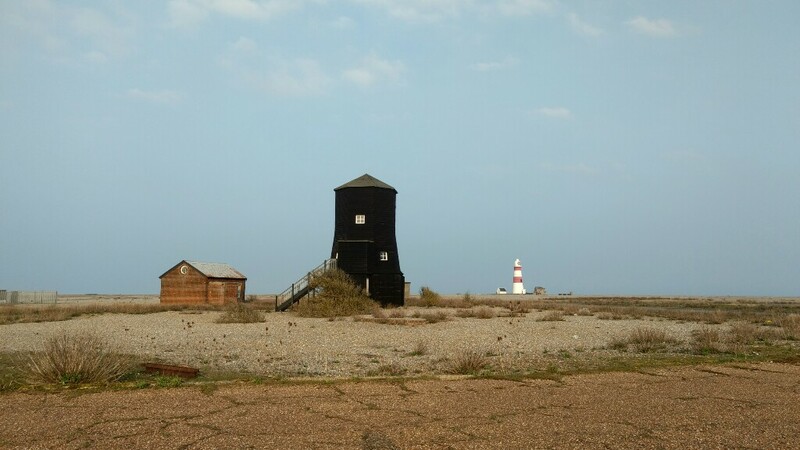 The remoteness of this 12 mile shingle spit (Europe's longest) made it suitable for experimenting with aerial machine guns, bombs, navigation, photography and parachutes, which continued in the interwar period. 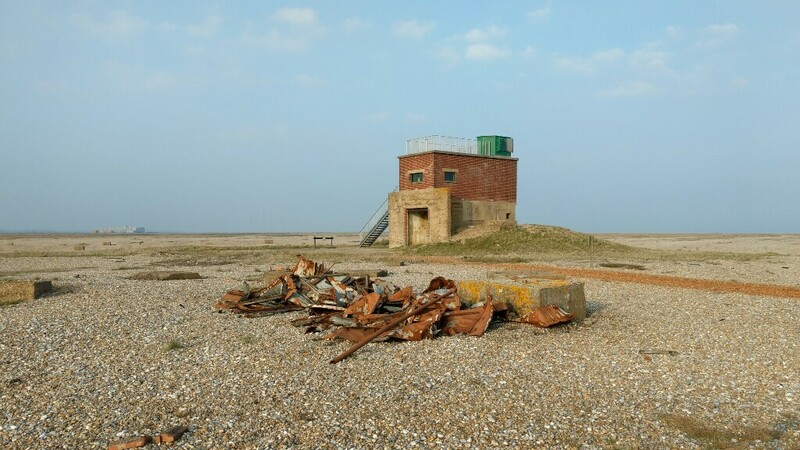 The Orfordness Beacon (set up in 1929) was one of the earliest experiments in long range radio navigation, then in the mid 1930s work started on a new defence system that became known as radar. Led by Sir Robert Watson-Watt, early work took place in the old WW1 huts before moving further down the coast to Bawdsey Manor. Their work brought about the Chain Home network, instrumental in overcoming the German threat from the air. 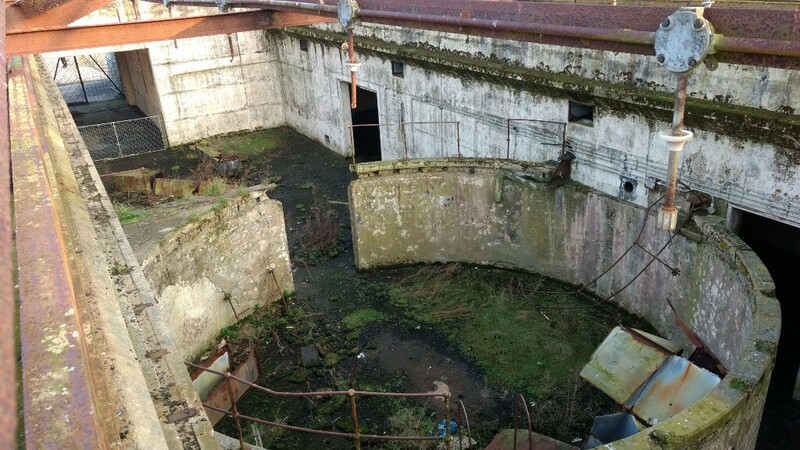 Though the airfield was not used, the Aeronautical Armament Experimental Establishment was based here. Activities included "assessment of the vulnerability of aircraft to hostile fire" (English Heritage). 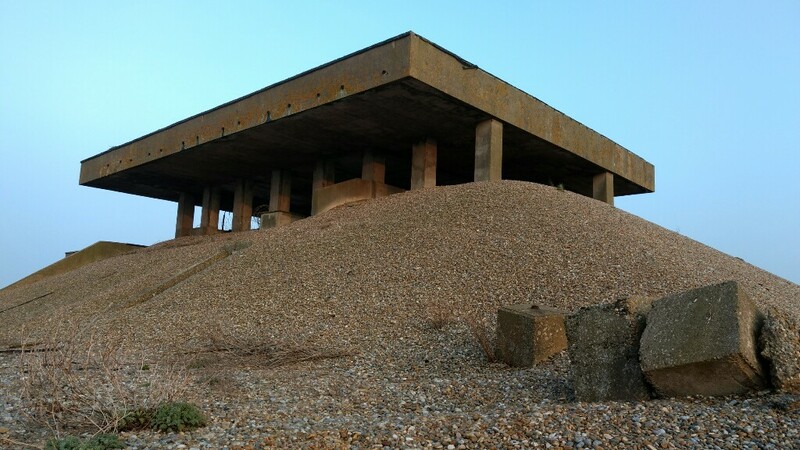 More buildings went up on 'The Street' and batteries were built to counter VI Flying Bomb guided missiles. 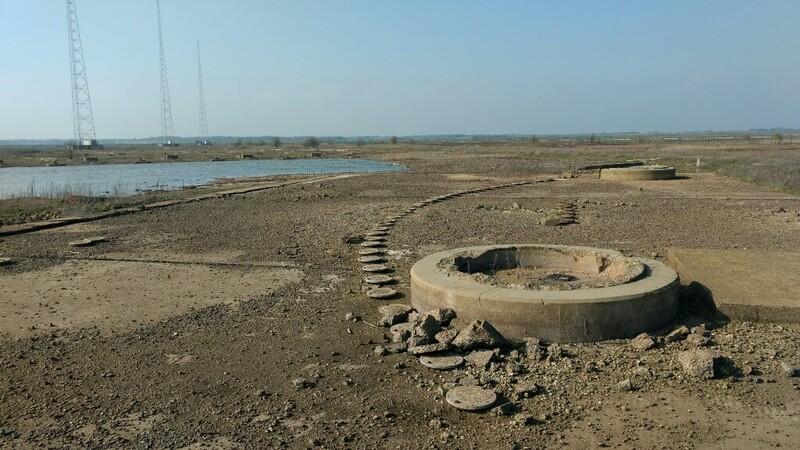 From 1953 to 1971 the AWRE had a base here and conducted environmental testing on explosives including Britain's first atom bomb, Blue Danube. 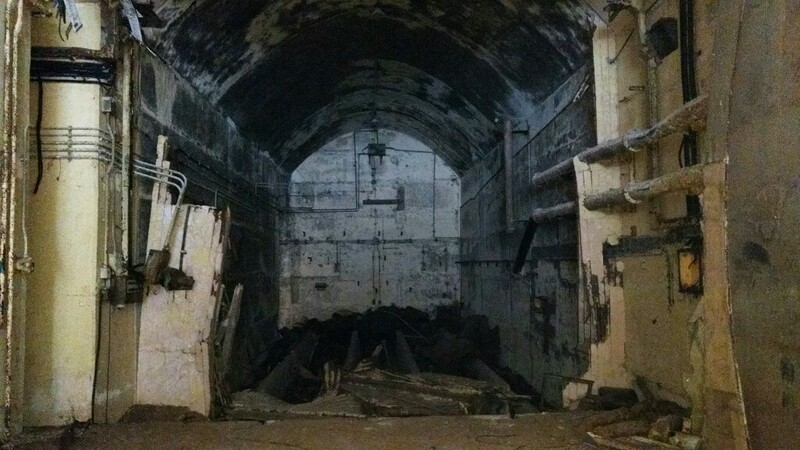 According to English Heritage's detailed report, in 1960 the Establishment stated "there will be no tests involving the release of radioactive matter". 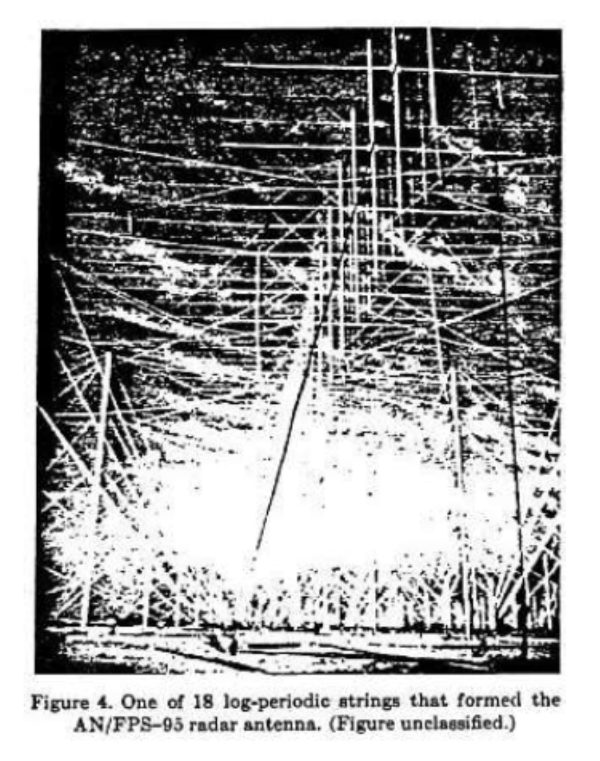 However, it describes how one former employee said tests were done with "either high explosives or their fissile/fusion components, but never both together", and "remembered being present during an overnight test on a system with components made of plutonium". 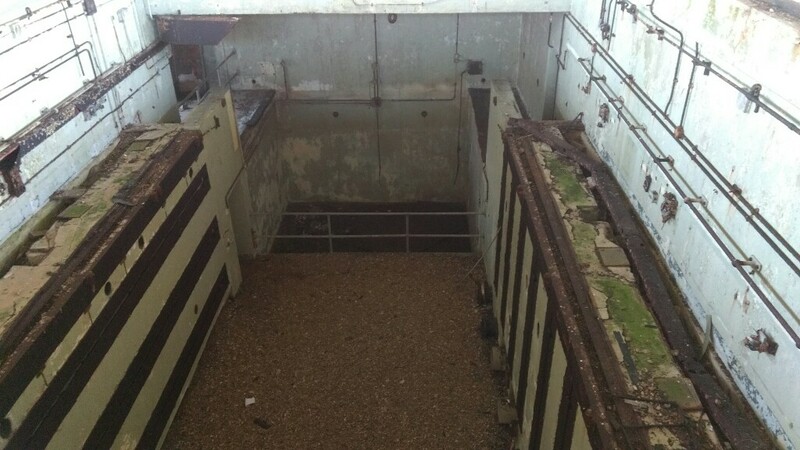 The structures were designed to contain any accident, like the Vibration Test Buildings or pagodas, whose roofs would collapse and seal any explosion with concrete and shingle. 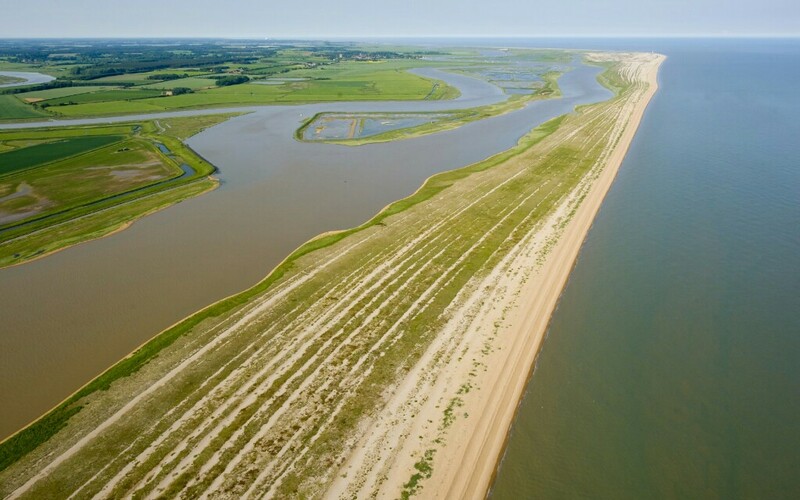 Since 1993 this part of the peninsula has been owned by the National Trust whose policy is to allow the site to decay while minimising human interference. Survivors of high pressure, shock, extreme temperatures and high vibrations, the buildings' main threat is the encroaching sea, constantly eroding and reshaping this fragile environment. Further north, construction began in 1967 on a new Anglo-American project codenamed Cobra Mist. AN/FPS-95 441a was an over-the-horizon (OTH) radar system pointed at Moscow, designed to monitor soviet activity. Testing began in 1971 but in 1972 problems emerged with noise interference affecting reception for which no explanation was found. Spyflight suggests the Russians could have been to blame, its signals jammed by agents in a trawler in the North Sea. The USAF gave up and left in June 1973. 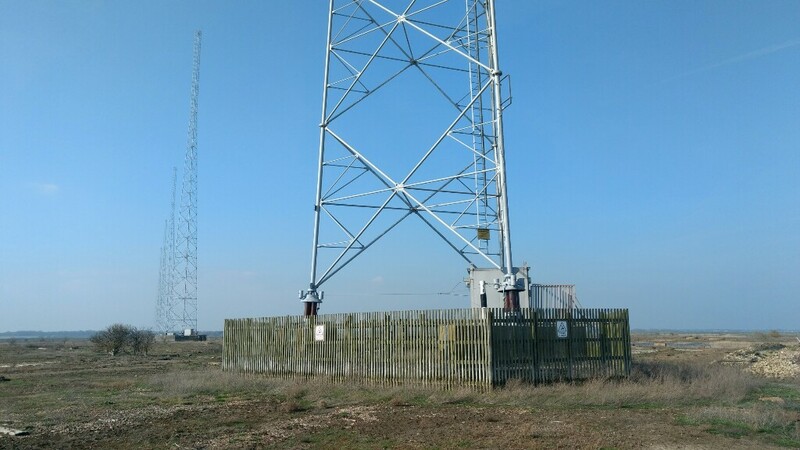 Costing around £1 billion in today's money, it was the largest, most powerful and sophisticated OTH radar at the time with a broadcast signal of 10MW. GlobalSecurity.org gives an impression of what the array might have looked like before removal in the mid 1970s. 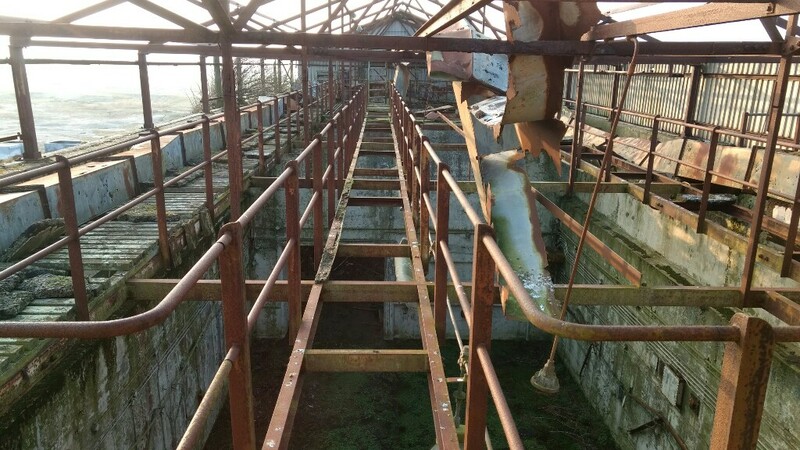 The above photo is at the 'hub' of the fan, but no underground chamber was found. Taught lines of wire remain on parts of the ground, creating a trip hazard. The 80 acre expanse is a haven for wildlife, from rare insects, plants and fungi to a grey canine-like animal that when startled bolted towards the main building. 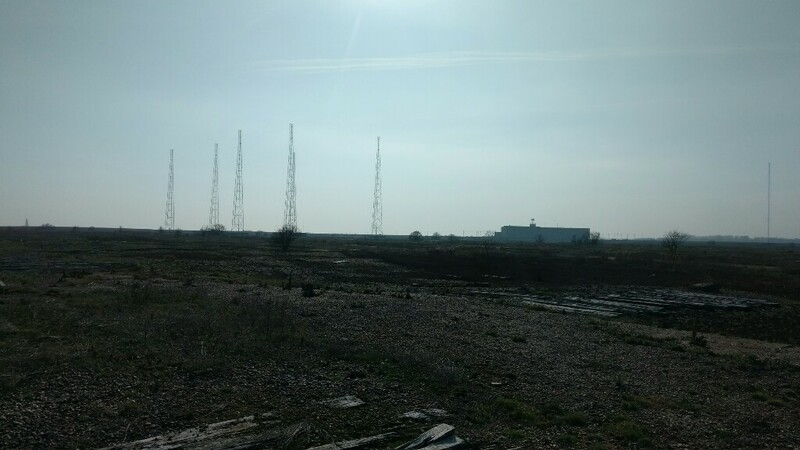 In the late 1970s the Cobra Mist site came under control of the Foreign Office as Orfordness Transmitting Station, and from 1982 to 2011 was owned by the BBC, broadcasting the World Service to continental Europe. Interviewed, the new owner said he bought it as "it's a folly of grandiose proportions" and hopes to create local employment. 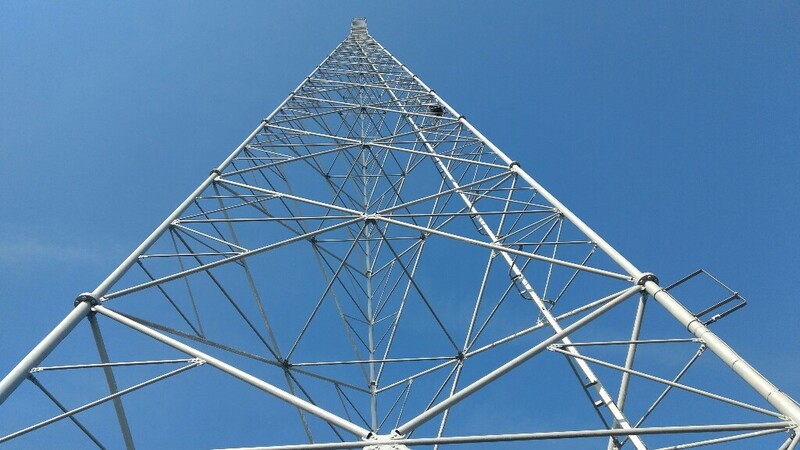 Broadband, communications, a data centre and a solar farm are mooted as potential new uses for the site. Today the site though quiet, remains unwelcoming to visitors. I was an RCA engineer at Orfordness from November 1970 to August 1972, and was heavily involved in the testing and commissioning. I can probably answer most specific questions. The radar was over the horizon, refracting through the ionosphere, going and coming back, so the signal was very weak when it arrived. We used some very fancy signal processing and I can assure you there was no Russian interference we could not handle. Some unknown person gave an interview on an episode of BBC Coast and told us his wild theories, they were from the pub in Orford. computer and then we were seeing trains in Russia in 1972. Pretty good eh? difficulties/interference (Think of the Aurora Borealis). The radar would work much better if it was positioned in Iceland or Greenland, and then it would look east and not be influenced by the Earth's north pole. Australia today, covering their land and sea approaches. Thanks a lot Bert - fascinating to learn first hand information. 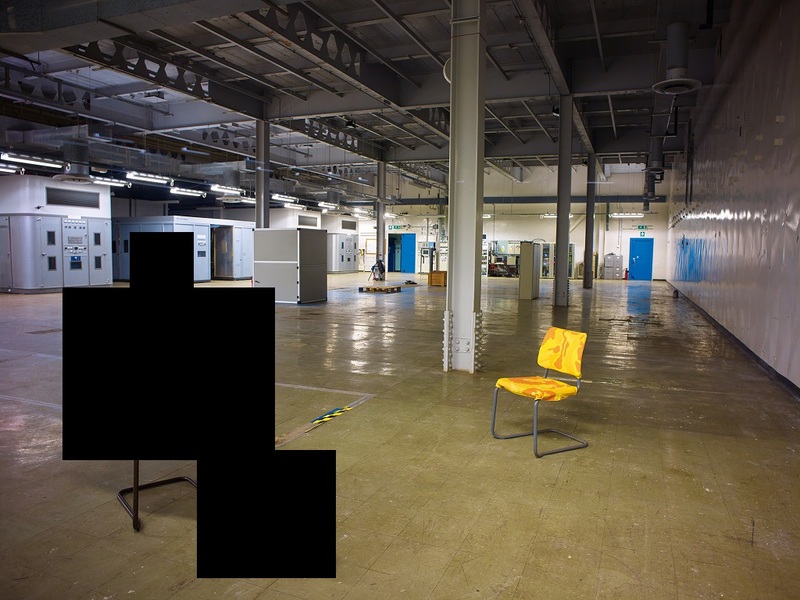 I was the 'unknown person' interviewed on Coast way back in 2006 when I was working at the site as an engineer for the BBC World Service transmitter company. The BBC came to the site wanting a good story for the sites orignal use. At the time I knew that there had been several reasons why the site suddernly closed after a very short span - the production company thought that the Russian trawler story broadcasting local 'noise' would make the best story, so that is the one we all went with. 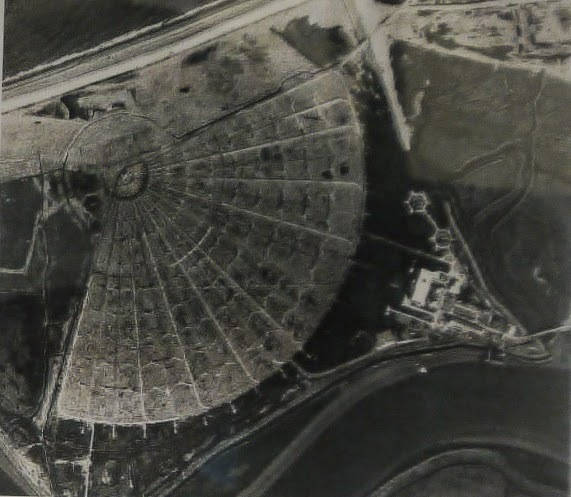 It was certainly no wild theory, as during my 9 years at the site, I meet many English RCA engineers as well as American personnel who gave us lots of facts and information about the sites actual history. We tried to document much of it on site - I left in early 2012 so I don't know if its still there. I certainly didn't intend to mislead or deceive the audience of the BBC program. 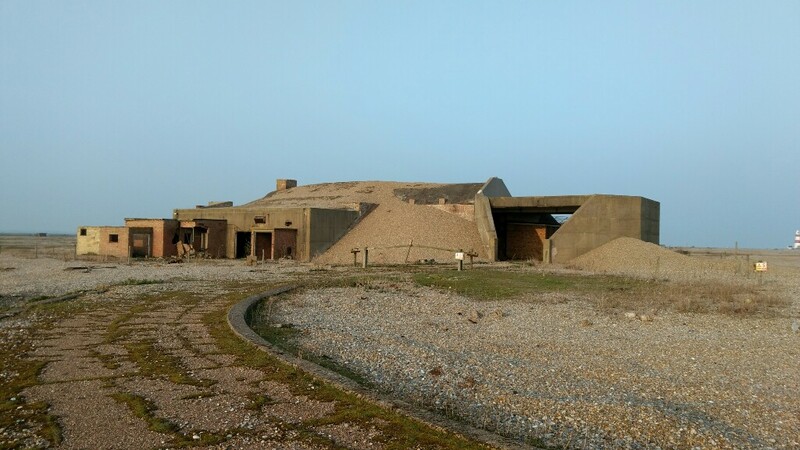 Engineer Orfordness, 2003 - 2012. Thanks Ian, I am glad you put the record straight. It was imposssible to jam this radar, so I felt other people would not be impressed to learn that after spending a billion, the Russians could stop it. I can't write much more, as signing the official secrets act is life long committment! 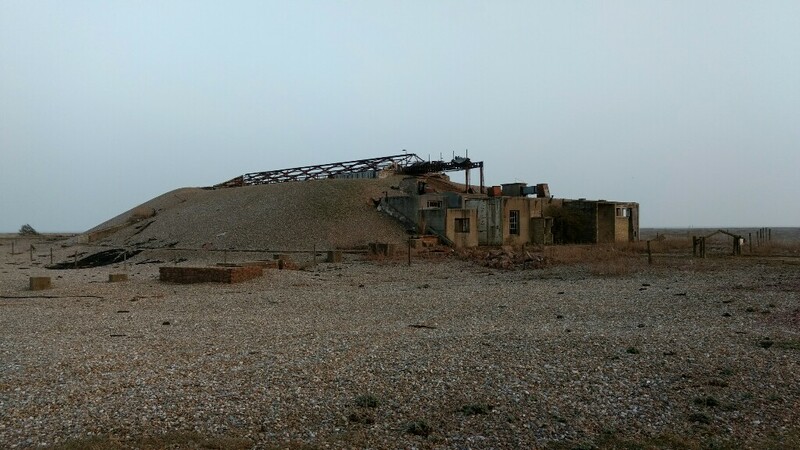 I live in Aldeburgh and wondered if a) I could land my boat on the ness and b) walk around cobra mist and the radar masts to take some photos for a project. Anyone got any ideas?? What you need is someone local who has a boat who wants to try it... Oh wait, that's you! Unless there are signs every 50 metres suggesting criminal trespass, the worst that can happen is you'll be asked to leave and even that's pretty unlikely! Go and look. Looking forward to your photos. There's a good chance that you knew my old man as he was there over the same time period.